If you fail to plan, you plan to fail. A “believable” plan instills confidence in your daily activities in a way that staying motivated isn’t that much of an issue. On this episode, Matt walks you through his exact process of creating certainty and removing all doubt in the achievement of your dreams and goals. Matt: Hey, this is Matt, “The Do Over Guy,” and this is Your Do Over: Episode 33. Announcer: During an era where countless people, businesses, and organizations are feeling the pinch, running out of time, running out of money, losing confidence, feeling as if life is unfair, praying for another chance and unless something is done, life is going to pass them by. Life is going to pass them by. Fortunately, in the nick of time, there is now a place where the ignored, underestimated and unknown steps to producing results and making life work are revealed. Save your career. Save your business. Save your health. Save your relationships. Save your life. Get from where you are to where you want to be, faster and with greater ease than you ever thought possible. Say, “Hello!” to Your Do Over. Matt: Welcome to Your Do Over, coming to you live from downtown Los Angeles. This is the place where I show people who want more out of life, people dissatisfied with their current situation, how to start over and begin a new life, setting goals and objectives so they can create wealth and live life to the fullest. You can jumpstart your Do Over and lay a solid foundation for a better life by downloading the Three Pillars of Creating the Ultimate Do Over for free at FreeDoOver.com. It’s a 55-minute mp3 audio program that I made just for you with three specific steps on how to get success as you start over. The Three Pillars of Creating the Ultimate Do Over will put the legs under your table. They will lay the foundation for you to achieve. They will act as your traveling success coach, and they’re yours for free at FreeDoOver.com. So if success was guaranteed, what would you do if you knew could not fail, what would you set out to do? If you knew you would succeed, success is guaranteed and you could just drop whatever you’re doing right now. You could push away from your desk, push away from your computer, you could turn the car around. What would you do? 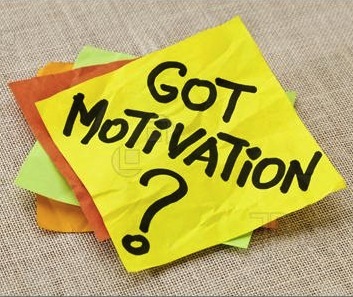 Would you even need motivation? Would you even need to listen to a podcast on how to stay motivated if you knew you would not fail? My guess is you wouldn’t, would you? Of course not. If you knew you wouldn’t fail, who needs motivation? Right? Motivation is really only needed when there’s doubt, where there’s limit to faith, where there’s compromised belief. So if that’s the case, let’s work on your faith. Let’s work on your belief. Let’s throw out the mind games. Let’s throw out the power of positive thinking. Let’s throw out all the “hoo hoo” stuff. Not that there’s anything wrong with that. Life is really just one big mind game anyway. Isn’t it? I mean those that mastered their thoughts, those that mastered their emotions. They mastered their lives but let’s try a different approach. Let’s create some certainty with the practical exercise with something that you can really sink your teeth in. Let’s remove the doubt inside your Do Over. I mean if we remove doubt, stay motivated. It’s not going to be so much of an issue. We will start with a question that we left off on the last episode. If we knew you would not fail, what would you set out to do? And when you reach that level of success, however you define success for yourself, what would you be experiencing? What would life be like? Let’s get really specific because we need to be able to measure it. If we can’t measure it, we can’t manage it. So what would you actually have? You see when it’s something besides the word “successful” to describe the level of achievement to which you aspire. Maybe it’s being married. I mean there would be easy to define whether you’re married or you’re not. That would be something that you could measure. Maybe it’s weighing 150 pounds or reaching 12% body fat. Or maybe completing “The Iron Man” triathlon on the top 10 or why not win it? You would not fail. Remember success is guaranteed. Or maybe it’s $1 Million in the bank or it’s $10,000 a month of passive income. Or it’s being a Vice President at your dream company whether it’s Nike or Apple. Maybe you’re working for Donald Trump or maybe building your own business competing and beating Donald Trump. Remember you cannot fail. Success is guaranteed but you’ve got to define what success is to you and as much details as possible. You’ve got to be specific. You’ve got to know when you have reached it. It has to be definitive. Now for this exercise today, I’m going to define success so I have something to work with. That’s is plug in or your dream or your passion into the exercise. Go ahead plug in your definition of success into this exercise. Here’s an example of success defined for today. Well in fact, instead of using a hypothetical example of success, I’ll just open up to you and I’ll reveal to you what I’m pursuing. Okay? I’ll reveal to you my definition of success. Maybe that will help you develop yours. It will give you an example of what I mean by definitive or measureable. So I will consider myself successful once I’m receiving $ 1 Million a year of passive income through my real estate holding and Internet businesses. I’ll consider myself successful when I’m being hired to speak publicly once per month to a thousand people or more. Those two things are very definitive. I’ll know whether I’m receiving $1 million a year of passive income or not either I’m in or I’m not. I’ll also know whether I’m being hired to speak once per month to one thousand people or more. Those are two elements that are very easily measured. I’ll consider myself successful when I have three children. Very easy to measure either I’ve got two or I’ve got three. My non-profit, I’ll consider myself when my non-profit is donating 6 houses per year. 6 houses per year to families displaced from the lower 9th Warden, New Orleans through elementary school essay contests. That’s something that I can easily measure. Now I’ll consider myself successful when I have an infinity pool in my backyard within ocean view. That’s my personal definition of success. It’s very measurable. I mean there are all very measurable definitions. An amount of money is very easy to measure. Mine is $1 million a year of passive income. I can measure that very easily. I’m being hired to speak publicly once per month to a thousand people or more. That’s very easy to measure either I’m speaking once per month or I’m not. I will know when I have achieved it. Three kids, I can certainly measure that. When I have an infinity pool within ocean view. That’s very easy to measure. Now I’ve got to tell you, I will feel as if I’ve arrived once I’m sitting in that infinity pool, sipping a glass of wine, looking at an ocean view. That will just do it for me. Anyway, that’s my definition of success and it’s very measurable. And you’ve got yours. I want you to define your definition of success and I want you to make sure that it is measurable. So where do we go from here? Rather than starting from where you are in taking actions that you think will get you to your definition of success. We’re going to create a plan, a plan of which that raises your belief. One that removes doubt, one that creates certainty about your future, one that instills into your Do Over that success is guaranteed. So I’m going to take one element o my definition of success. Let’s take my public speaking ambition, being hired to speak publicly at least once per month to a thousand people or more. That’s one of my elements of success. You take one of yours and work along with me. Now I’m going take that goal and reword into the present as if it’s a reality for me right now. It would sound something like this. I’m so happy and grateful now that I’m being hired to speak publicly once per month to one thousand people or more. That’s worded as if it’s a reality right now. You state yours in the same way. I’m so happy and grateful now that fill in the blank with your measurable definition of success. Okay? Now imagine that you’re experiencing your success just as you defined it. Write down what had to happen just prior to you achieving your success. Or what was a major milestone you hit just prior to achieving your success? For example, just prior to me being hired by once a month to speak to at least a thousand people. A major milestone would be me being hired once a month to speak to at least 500 people. That would be milestone number 5. You see what we’re doing is we’re working our way back to where we actually are today. We’re creating the plan in reverse. So the milestone I’ll hit just prior to speaking monthly to at least 500 people could be speaking to 250 people. That would be milestone number 4. And you’ll notice that they’re very measurable. Just prior to speaking to 250 people, the next major milestone could be speaking to 100 people once a month. That’s milestone number 3. Prior to that could simply be being hired to speak once per month regardless of the number of people. That would be milestone number 2. Milestone number one could be being hired to speak once every other month. So real quickly, I laid out my 5 major milestones that stand between where I am today and where I want to be. I mean already my path is unfolding and it’s unfolding in a way that it seems very do-able. Now it’s not guaranteed yet but it certainly seems do-able. Doesn’t it? I mean doesn’t it seem do-able to you even if you have no aspirations to be a paid public speaker. If you’re following along with your definition of success, you’ll be seeing your path unfolding as well. And unfold to a point where it seems do-able. I mean just by seeing that it’s do-able, you’re belief should be starting to increase that it doesn’t seem so far away or impossible now. Does it? Would you even dare say your motivation has a reason a bit? Now I’m just sitting here forming this as an exercise with you to give you an example. But just by performing this exercise, I’m feeling a sense of motivation around my own public speaking aspirations. Okay? So let’s keep going. My milestone number 5 is being paid to speak to at least 50 people per month. Milestone number 4 is being paid to speak to at least 250 people per month. Milestone number 3 is being paid to at least 100 people per month. Milestone number 2 is being paid to speak once per month regardless of the amount of people. Milestone number one is being paid to speak at least once every other month. Those are my major milestones. So please follow along with me inserting your measurable definition of success, your goal, or else this time for you is wasted. Okay? So take on this exercise with me. So those are my major milestones. What I’m going to do now is to place my focus solely on major milestone number 1. That is being hired to speak at least once every other month. That’s my sole focus now. I’m going to forget about the rest not even look at the other milestones. I’m not even going to look at the end goal. I’m just focused on being hired to speak at least once every other month. That’s my sole focus. Now I’m going to work my way back with 5 more milestones for milestone number 1. Now I’m going to call them minor milestones or minor stones. So what measurable event or situation am I going to experience just prior to being hired to speak once every other month? Let’s say I’m speaking four times a month for free. Just prior to being paid to speak every other month. That would be minor stone number 5. I’m speaking four times a month for free. That would be my existence. Just before I’m being hired to speak every other month. Minor stone number 4 that could be for free twice per month. Minor stone number 3 could be speaking for free once per month. And minor stone number 2 could be one free speech per month actually scheduled in my calendar for the next 6 months. So when I’m able to schedule 6 speeches that could be minor stone number 2. And just prior to that could be a finalize flagship or signature presentation that would be minor stone number 1. So at this point, the path to my ultimate definition of success is really starting to appear. Now it seems very do-able. I have 5 major milestones. I have 5 minor stones leaving to my first major milestone. Hopefully you’re following along with my words. This is a lot easier to do when I’ve got a white board and you’re sitting in front of me but follow along. Now my sole focus is going to be placed on minor stone number 1, creating a signature presentation. That’s my sole focus now. I’m not thinking about anything else. There’s no room for overwhelm. I can be finally focused on that minor stone knowing that it’s leading to the path of my ultimate definition of success. Minor stone number 1, creating a signature presentation. Now, I’ll wake up everyday and then include my daily to-do list a couple of very simple tasks working towards creating my signature presentation. For example, one simple task could be choosing a theme for my PowerPoint presentation. It works like this. Success creates confidence. Confidence creates action. Action creates results. Results create more success and round and round you go. That’s how these simple little tasks that allow you to experience these small moments of success. That’s why they’re so important. They’re important because they lead to more success but there are also important because they increase your faith. They increase your belief in what you’re up to in your Do Over. And when your faith and belief are being strengthened. Your motivation becomes less and less of an issue. At least it’s less and less of conscious thought. The motivation is coming up naturally. It’s less of an issue because you’re doing something that you want to do. It’s less of an issue because you’re inching closer every day and you can actually measure your progress. Each time you reach a minor stone or a milestone, you know you’re getting closer so that’s measurable. So each time you reach a minor stone and you knock that minor stone down, you then place your focus on the next minor stone. And work your to-do list and the exact same way by adding small simple tasks and moving you closer. You’ll do this every day until you get to your first major milestone. Once you’ve knocked down that first major milestone, you’ll create 5 new minor stones leading to major milestone number 2. You just work your way down your path until you reach your ultimate definition of success. Simple. Right? It is simple. I mean do you actually believe you can do this now? Of course you do. How couldn’t you? All you got to do is follow the steps. And when you’ve got a plan backed by belief. I mean, who needs motivation? The motivation is coming naturally. It’s coming authentically. It’s coming because you’re doing what you want to do. It’s coming to you naturally because you have a plan. You have a path that you’re following. You have inserted some certainty of how you’re going to get there. You know a recent coaching client of mine. They actually quit their coaching with me early. You know as I walked in through this process. In just two months or so, he was like, “Matt, I got this. I got it covered. I don’t need anymore coaching in this element of my life. I don’t need anymore coaching with this area.” I was like, “Great, Rey.” I’m glad I can be of service. I really was. It felt really good. And then I asked him if he could send me a brief testimony of his experience. If he could put into words what his experience was so I can share it with future clients. This is the email that he sent me. Now it’s completely unedited. Yeah, I asked for his testimony but that’s what he wrote. You know, that was very much the experience that I had as well. So I’m happy that Rey is on his way. He’s got some belief. He’s got some conviction. He had enough belief to quit coaching. That’s what this plan can do for you. All righty? So that’s it for today, your homework is to create your plan. Create your plan in the manner described in this episode. Create your measurable definition of success. State in the present and work your way back. Creating your major and minor milestones. Work your way back to where you actually are right now. Then you stay. Take a step or two. You can certainly take more if you’d like but take a step or two. Simple steps that allow easy experiences of success. Each and everyday do that. Do that each and every day and you will get there. Just stay on the path. Stay on the success cycle. You will get there. Okay. Next episode I got a very special guest joining us that will further help me cover this subject of motivation, covering the subject of staying focused and dealing with negative thoughts, pessimism, skepticism, and doubt. I mean I can’t wait for it. We haven’t had a guest in a while so I’m really looking forward to the next episode. Okay? God loves you and so do I. I am Matt, the Do Over guy. I will see you on the next episode of Your Do Over. Announcer: Thank you for tuning in to Your Do Over, where the ignored, underestimated, and unknown steps to producing results and making life work are revealed. And remember, knowledge is potential power. Take action on what you learned today. This is not your learn over. It’s Your Do Over.